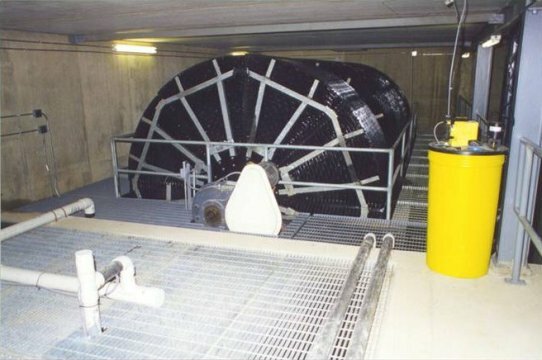 The ROTORDISK® system is a complete wastewater treatment plant in one package. The ROTORDISK® system uses a rotating biological contactor (RBC) to harness the natural biological processes resulting in a superior effluent performance that meets even the most stringent discharge standards. The ROTORDISK® mechanical equipment package includes all process equipment, all plant mechanical equipment, applicable electrical monitoring equipment, controls, and additional components by design including handrails and grating along with detailed operator/maintenance manuals. From large municipal facilities (shown above) to the smallest development project, BluMetric has a standardized ROTORDISK® system to meet the specification and performance requirement. ROTORDISK® systems can be delivered in two configurations: as a complete packaged system, or in system components for integration into existing civil works. 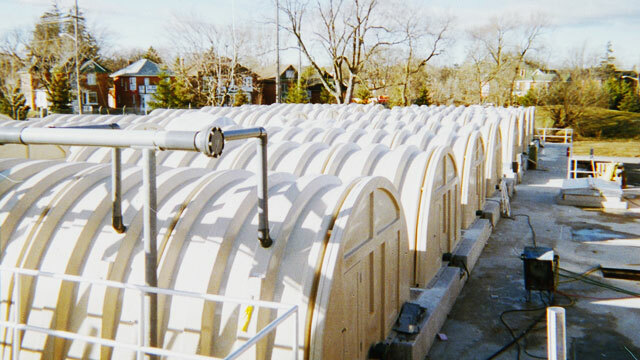 When greater capacity is projected for future growth, individual ROTORDISK® systems can be combined to form the perfect scalable wastewater treatment solution. The BluMetric Full Steel ROTORDISK® is a fully contained wastewater treatment plant offering variable flows and treatment capabilities. 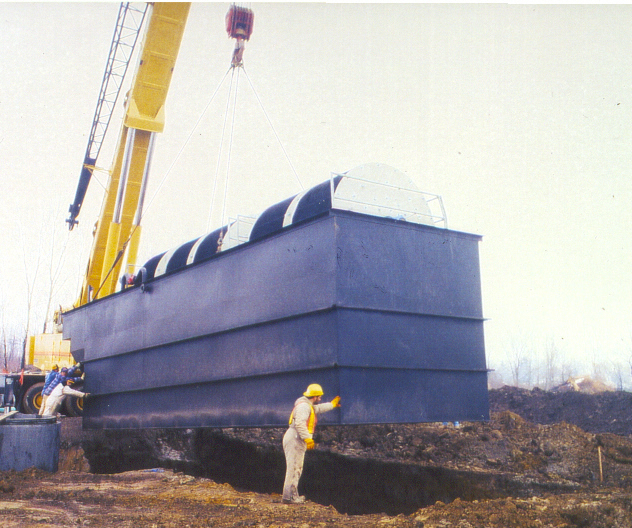 The foundation of this packaged wastewater treatment plant is ROTORDISK® and begins with the development of our proprietary internals system that is designed and built in our factory, installed and tested in a steel tank and optional cover. Once the Full Steel packaged wastewater treatment plant arrives on site its only requirement is a hard, level surface and a few hours for commissioning before being fully operational. The ROTORDISK® Full Steel system is available in variable sizes, voltages, and performance capabilities. It's only limited by what you need. BluMetric's ROTORDISK® internal RBC solution provides for a flexible and cost effective alternative to traditional design build practice, while providing a reliable long-term solution. The ROTORDISK® RBC internals are the heart of the biological treatment process. Purposely designed for municipalities, consulting firms and engineering professionals, the typical internals package consists of the entire ROTORDISK® process and ancillary equipment package for installation into a building built by others. The ROTORDISK® internal RBC system is a heavy-duty equipment package that is designed for sustainability. In fact, many of our plants have been in continuous operation since 1974. We use the best materials available for long equipment life. We assemble and test everything we produce/manufacture/supply. All of our steel work is specially coated to prevent corrosion and we select only the best mechanical equipment.